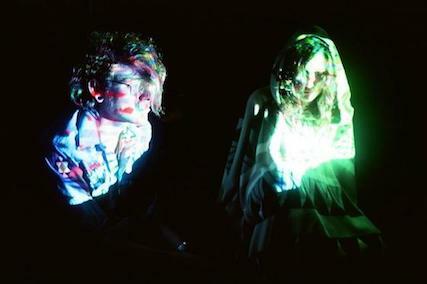 Vidkidz is a video collective comprised of Zak Loyd and Melanie Clemmons. Founded in Brooklyn in 2009, Vidkidz has provided visual support for live music, composed immersive video installations, and developed net.art pieces across USA and URL landscapes. Utilizing an amalgamation of archaic and cutting edge video technologies, the work of Vidkidz explores maximal formalism and networked realities.